The activities in the Columbia, South Carolina are abundant. Our great city offers activities for children and events for adults. Before you head out check out the events below to plan your entertainment. Through June 4 – “The Flick” at the Trustus Theatre. This Obie Award and Pulitzer Prize winning film is sure to provide you with an evening of great entertainment. For more information call (803) 254-9732 ext. 2 or visit https://trustus.org/. Through July 1, 2016 – “Time and Place: The Artwork of James Fowler Cooper” at the South Carolina State Museum. This artist/printmaker creates beautiful Lowcountry landscapes displaying farm labor and life growing up in rural South Carolina. For more information call (803) 898-4921 or visit http://scmuseum.org/explore/exhibits/changing-exhibits/time-and-place-the-artwork-of-james-fowler-cooper/. Through September 30 – Blooming Butterflies at the EdVenture Children’s Museum. Learn about the lifecycle of the butterfly and see a variety of beautiful butterflies in the butterfly house. For more information call (803) 799-3100 or visit http://www.edventure.org/exhibits/seasonal/blooming-butterflies/. June 1 – 2 – “Spanky Brown” at the Comedy House Theatre. If you are having a rough time, treat yourself to an evening with Spanky who will surely help relieve your stress! For more information call (803) 798-9898 or visit http://comedyhouse.us/spanky-brown/. June 2 – Lecture & Book Signing by “Jeanna Moutousammy-Ashe” at the Columbia Museum of Art. This photograph will be presenting her works “Daufuskie Memories” that will be on display through August 7. For more information call (803) 799-2810 or visit https://www.columbiamuseum.org/happenings/lecture-and-book-signing-daufuskie-memories-artists-jeanne-moutoussamy-ashe. June 2 – August 7 – “Daufuskie Memories” at the Columbia Museum of Art. Photographer Jeanna Moutousammy-Ashe captured African American life on this island, which until the early 1980’s was the last South Carolina sea island untouched by the outside world. For more information call (803) 799-2810 or visit https://www.columbiamuseum.org/exhibitions/daufuskie-memories. June 3 – 4 – Steppin’ Out Saddle Club Trail Ride & Horse Show at Hall Acres on Sutton Hall Road in Gaston. There will be a trail ride, riding lessons, a horse clinic, and more. For more information call (803) 238-0213 or visit https://www.facebook.com/events/502297209967457/. June 3 – 4 – Peach Tree 23 Yard Sale along Highway 23 from Batesburg-Leesville to Modoc. This 44 mile yard sale will include not only your normal yard sale products, but include farmers and artisan markets, and will go through 7 beautiful rural towns with their own restaurants and shops. 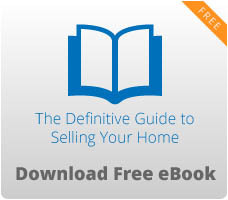 For more information call (803) 275-0010 or visit http://www.peachtree23.com/. June 3 – 5 – Midlands Clay Arts Society Festival at the Southern Pottery Workcenter and Gallery on Devine Street. Meet some of the midlands finest ceramic artists and purchase their works, from functional to jewelry. For more information call (803) 422-4289. June 3 – 5 – Blythewood DOKO Rodeo at the Blythewood Community Park off of Exit 27 at I-77. This event will include all of your favorite rodeo events, to include bull riding, barrel racing and more with world class cowboys and cowgirls competing for big cash prizes. 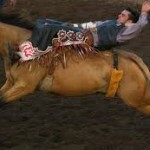 For more information send an email to info@blythewoodrodeo.com or visit http://www.blythewoodrodeo.com/home.html. June 3 – 5 – “Gary Owen” at the Comedy House Theatre. Creator of the best-selling DVD, “True Story” will guarantee to keep you laughing. For more information call (803) 798-9898 or visit http://comedyhouse.us/gary-owen/. June 3 – July 29 – Summer Movie Series at Riverfront Park. End your week watching a movie under the stars! For more information call (803) 545-3100 or visit http://columbiasc.net/. June 4 – OMG: Owning, Maintaining, and Gardening at the Midlands Technical College Northeast Campus. Event will include a photo booth, a truck tour for the children. Emergency response training, and more. For more information call (803) 545-3373. June 4 – Community Awards Celebration at the Columbia Museum of Art. This event will include hands on activities, gallery tours, and more. For more information call (803) 799-2810 or visit https://www.columbiamuseum.org/happenings/community-awards-celebration. June 4 – Carolina’s Caribbean Culture Festival at the Garners Ferry Sports Complex in Hopkins. The weekend event will include lots of entertainment, a parade, good food, and lots of fun! For more information call (803) 795-5270 or visit http://www.cccfestival.com/. June 4 – H.E.R.O. Dance at the Township Auditorium. This wonderful event is in honor of our local veterans and is in support of the Gary Sinise Foundation that works to help our warriors to recover from the trauma they’ve encountered at war and help them return to our society successfully. For more information call (912) 980-7186 or visit http://www.herodancebenefit.com/. June 4 – Run Red Bank 5/10K at the Lexington Family YMCA. At this family friendly event, feel free to run, jog, or walk and the kids can even participate in the Kids Fun Run. For more information call (803) 407-8007 or visit http://www.racesonline.com/events/run-red-bank-5k-10k. June 4 – “Abbey Road Live! Beatles Tribute” at the Music Farm. This isn’t your typical Beatle look-a-like show, but is geared toward being as true to the actual recordings as possible. If you are a Beatles fan, this is a must see! For more information visit http://www.musicfarm.com/event/1155685-abbey-road-live-beatles-columbia/. June 4 – StoryfestSC at the South Carolina State Museum. You will meet award winning authors/illustrators, hear stories, and have the chance to purchased signed books. For more information call (803) 734-8666 or visit http://www.statelibrary.sc.gov/storyfestsc. June 4 – unspecified – “RACE: Are We So Different?” at the South Carolina State Museum. Explore a cultural and scientific look at race throughout history and the reasons we should celebrate our differences. For more information call (803) 898-4921 or visit http://scmuseum.org/race/. June 4 – August 13 – Summer Concert Series at Finlay Park. The June 4th concert will feature “Second Nature” and “Ken Knox & Co.”. For more information call (803) 545-3100 or visit http://columbiasc.net/press-releases/052320161415-free-summer-concert-series-returns-to-finlay-park-june-4. June 5 – Lake Murray Symphony Orchestra Koncert for Kids at the Cornerstone Presbyterian Church. This is a fun family and kids concert. For more information call (803) 400-3540 or visit http://www.lmso.org/#!blank/lu8st. June 6 – “Gustafer Yellowgold’s Show” at the Richland County Library Wheatley on Woodrow Street. This funny and touching multi-media concert of live songs, stories, and animation will be performed by award-winning illustrator/song writer Morgan Taylor. For more information call (803) 799-5873. June 6 – Farm to Table June Dinner & Show at the Music Farm. The theme is Caribbean with a four course meal being served and music by “Mystic Vibrations”. For more information visit http://www.musicfarm.com/event/1162323-june-dinner-show-caribbean-columbia/. June 8 – 12 – “Barbara Carlyle” at the Comedy House. Enjoy an evening of laughter from this entertaining and lively comedian. For more information call (803) 798-9898 or visit http://comedyhouse.us/barbara-carlyle/. June 8 – June 29 – Wild Wednesdays at Sesquicentennial State Park. Learn about the plants and animals of the park, with each week providing a different topic. For more information call (803) 788-8332 or visit http://southcarolinaparks.com/products/10003448. June 9 – Fireflies Host “Purple Game, Purple Game” at the Spirit Communications Park. This tribute to the late artist “Prince” will include music before the game, a charity jersey auction, and a Prince themed fireworks display after the game. For more information visit http://www.milb.com/index.jsp?sid=t3705. June 9 – Loading Dock Live! “Terrance Young & Finesse” at the Township Auditorium Loading Dock. Enjoy a night of great fun at this free concert. For more information call (803) 576-2350 or visit http://www.thetownship.org/events/. June 10 – 18 – “The Testament of Mary” at the Trustus Theatre. This beautiful and exhilarating piece is performed by the Museum of Art with Mary presenting in the first person narrative her son’s final days. For more information call (803) 254-9732 ext. 2 or visit https://trustus.org/event/the-testament-of-mary/. June 11 – Triumphs at the Keg at the Keg Cowboy in Lexington. There will be BBQ and microbrews on tap, with several new Triumph motorcycles on hand to view. For more information call (803) 532-0881. June 11 – Fin Fest 17 Card Sharks Poker Crawl beginning at Tin Roof on Senate Street. Whoever has the best hand at the end will win a Margaritaville Bali Frozen Concoction Maker and the worst poker hand will win a beautiful Adirondack Chair. For more information call (803) 960-1757 or visit http://www.fin-fest.com/. June 11 – Dining with Friends Dessert Finale at the Koger Center for the Arts. This gala event will feature gourmet desserts, an open bar, live entertainment, and a silent auction. For more information call (843) 685-1035 or visit http://abfsc.org/?p=408. June 11 – Hope in Harmony: An Artistic Conversation at the Tapps Arts Center. In memory of the 1st anniversary of the Emmanuel AME tragedy, this will be an expressive evening of arts and community dialogue. For more information call (803) 988-0013 or visit http://www.tappsartscenter.com/event/hope-and-harmony-festival-an-artistic-conversation/. June 11 – Doko Fest Bluegrass Festival at Doko Meadows Park in Blythewood. Bring your lawn chair and enjoy a day of fun, fellowship, and good music by bands, such as our local “Cottonwood” band and “Flatland Express”. For more information visit https://www.facebook.com/dokobluegrassfest/. June 11 – Southern Guitar Festival Open Mic and Dinner at the Al-Amir Mediterranean Restaurant in downtown Columbia. Dinner will be buffet style. For more information visit http://southernguitarfest.com/. For those wishing to participate in the open mic please send an email to GuitarMuse@hotmail.com. June 11 – “Kevin Gates & Friends” at the Township Auditorium. This concert was previously scheduled for April 16th with all previously purchased tickets being honored. For more information call (803) 576-2350 or visit http://www.thetownship.org/events/. 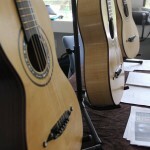 June 11 – 12 – Southern Guitar Festival and Competition at the Columbia Museum of Art. Competitions will include solos in categories based on age, ensemble, and a Guitar Idol SC, as well as concerts, workshops, lectures, and more. For more information call (803) 799-2810 or visit http://southernguitarfest.com/. June 12 – NALC/ADA Fundraiser at the NALC Union Hall on Broad River Road. This family fun event will include vendors, a dunk tank, BBQ leg quarter dinner plate, and raffle tickets for a 60” smart TV. For more information call (803) 731-9132 or visit http://www.tappsartscenter.com/event/hope-and-harmony-festival-an-artistic-conversation/. June 12 – Passport to Art: Water, Water Everywhere at the Columbia Museum of Art. This free drop-in studio program will allow families to create hands art projects using water. For more information call (803) 799-2810 or visit https://www.columbiamuseum.org/happenings/passport-art-water-water-everywhere. June 12 – 19 – Southeastern Piano Festival at various locations around Columbia. There will be lots of music, with special guest “Sergei Babayan”, lectures, lessons, and more. For more information call (803) 777-1209 or visit http://sepf.music.sc.edu/. June 15 – “Chris Lane” & “Eric Paslay” at the Music Farm. Enjoy an evening of country music at the WCOS Party at the Farm. For more information visit http://www.musicfarm.com/event/1195879-wcos-party-farm-columbia/. June 17 – 18 – “State Fair” at the Newberry Opera House. This musical by Rodgers & Hammerstein is filled with nostalgia, energy, romance, and even heartbreak. For more information call (803) 276-5179 or visit http://newberryoperahouse.3dcartstores.com/All-Events_c_50.html. June 18 – Sandhills Stroll at Sesquicentennial State Park. Learn about this unique and delicate Carolina ecosystem. For more information call (803) 788-8332 or visit http://southcarolinaparks.com/products/10003110. June 18 – USA Bobsled & Skeleton Combined Test at Owens Field Park. If you think you have what it takes to be an Olympian, this is your chance, with past team members coming from various types of sports. For more information visit http://www.teamusa.org/usa-bobsled-skeleton-federation/join-the-team. June 18 – Shrimp & Grits Festival at the Columbia Marriott. Find out who you think makes the best shrimp and grits in the area and have the opportunity to see guest judge, Marcus Lattimore. For more information visit https://columbiashrimpandgrits.com/. June 18 – Summer Concert Series: “The Root Doctors” at Finlay Park. For more information call (803) 545-3100 or visit http://columbiasc.net/press-releases/052320161415-free-summer-concert-series-returns-to-finlay-park-june-4. June 21 – 25 – Miss South Carolina Pageant at the Township Auditorium. Enjoy an evening of beauty and entertainment, while rooting on your favorite contestants. For more information call (803) 576-2350 or visit http://www.miss-sc.org/.